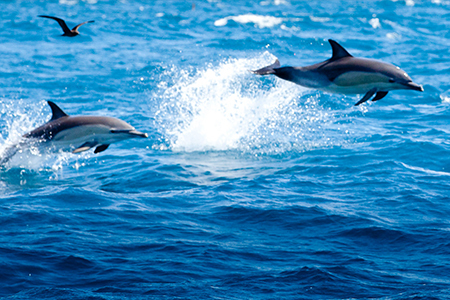 Bay Explorer offers you the premium wildlife and adventure ‘seafari’ experience in the Bay of Plenty. We’ve heard many times that it’s the BEST DAY EVER. 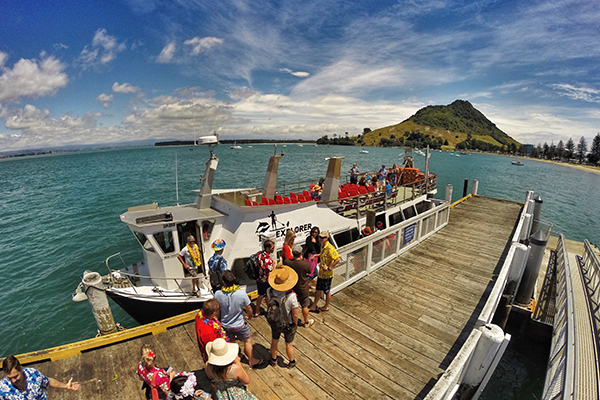 Departure is from The Strand, Tauranga City at 8:00am, returning 2:00pm – 4:00pm. 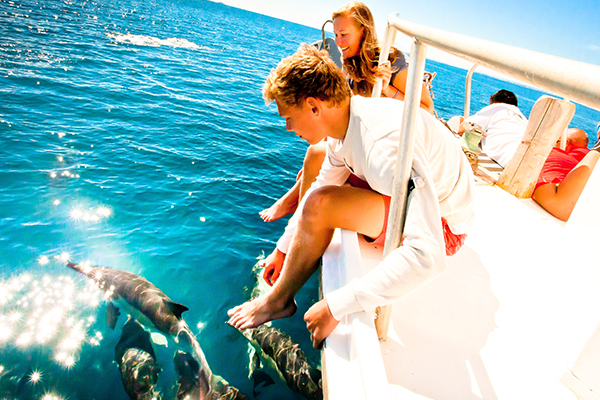 You will explore the aquatic world of seasonal marine wildlife; dolphins, seals, penguins, fish, and occasional whale encounters. 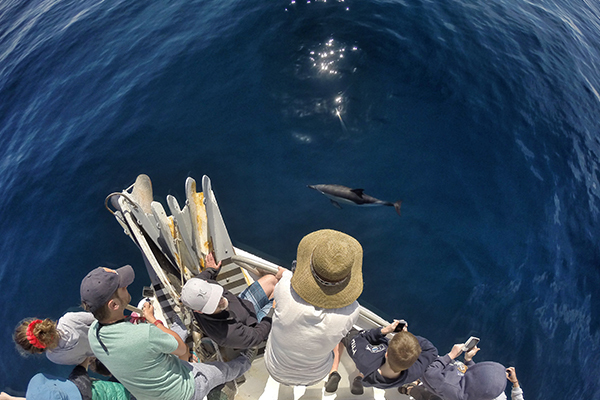 The regular encounters can range from a few animals to hundreds of dolphins swimming alongside with our vessel. It’s a great way to spend an amazing day. You are able to get up close to wildlife, making it a photographer’s dream. 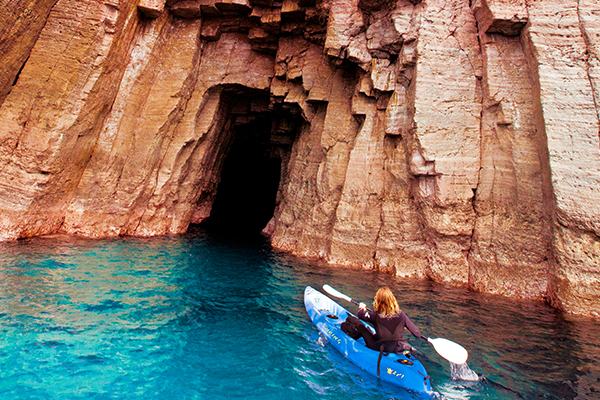 You can choose to explore even more at the islands. 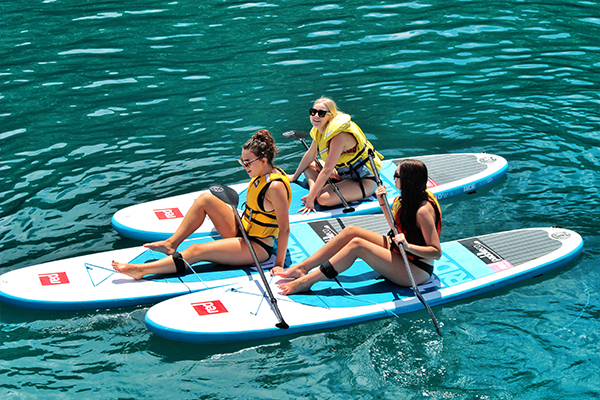 Optional activities include swimming, snorkeling, kayaking, and stand-up paddle boarding (SUP). Your experienced Captain and BEST DAY EVER crew will provide a fascinating commentary on the history, geography and culture of the area. 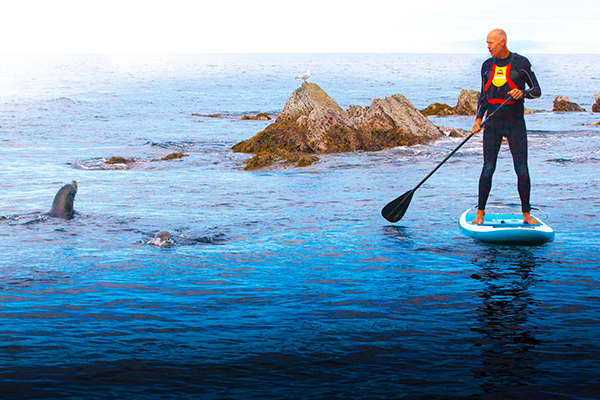 They have knowledge on marine wildlife and personally share with you everything they observe. Books and references are on board to enhance your experience. 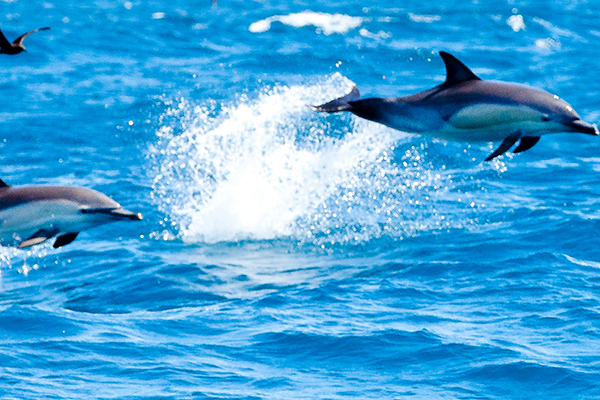 Don’t miss this premier Bay of Plenty island and wildlife adventure boat cruise! 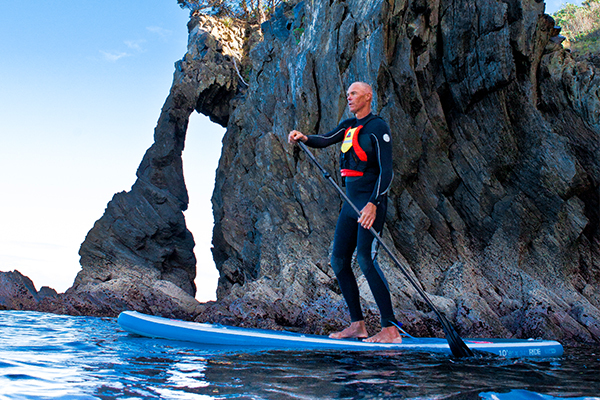 Enjoy an Island stopover and kayak, stand-up paddle board, snorkel or swim. Water sport training and lifejackets for all ages. 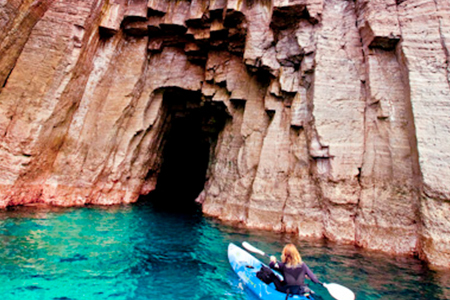 Begin your BEST DAY EVER adventure in Rotorua. Our transport coordinator will collect you from your Rotorua accommodation and bring you on the scenic journey across to New Zealand’s east coast capital Tauranga. Pick-ups in Rotorua generally occur at between 6.00am and 7.00am and return is around 4:00pm – 6:00pm. The vehicles used range from late model sedans through to mini-coaches depending on the number of passengers for the day. The 60 minute drive will take you past a number of lakes, through forests and farmland to the Port of Tauranga. 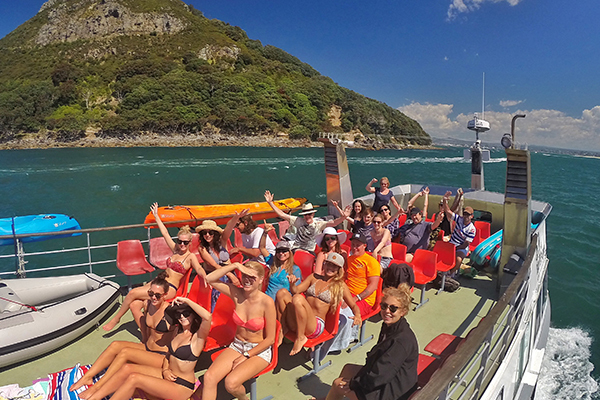 On arrival you will join the crew aboard the vessel ‘BAY EXPLORER’ for the BEST DAY EVER. A minimum of two passengers is required for the shuttle service to operate. 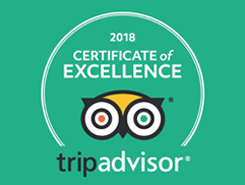 If you are booking for one person the shuttle we will confirm the night prior to the tour whether any other passengers have booked and if the tour will operate. You are welcome to call us on 021605968 if you would like to check if the minimum number for a specific date has been reached. Please note that on some occasions our skipper needs to review sea and weather conditions on the morning of the tour before making a final decision, in this situation it is necessary for us to cancel the shuttle service the night before as it does not allow enough time for the shuttle to travel from Tauranga to Rotorua and back. 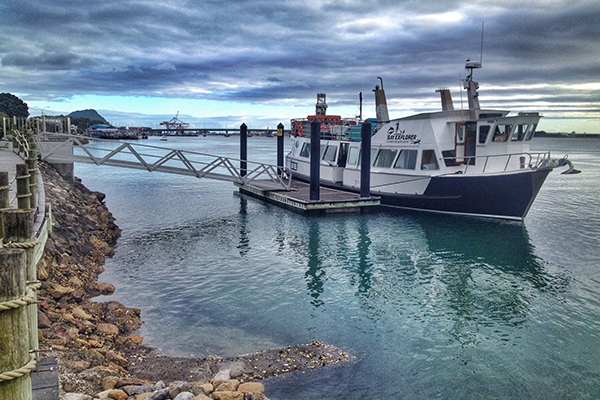 You may still be able to join the boat tour only in this situation so we suggest you either self-drive or stay the night prior in the Tauranga area.